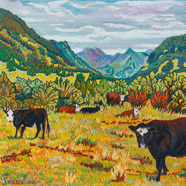 Cows In The Neighborhood SOLD! 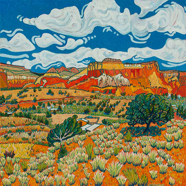 Ohh Ahh Trail 40x40 SOLD! 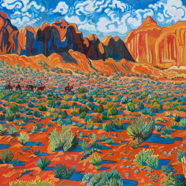 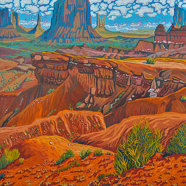 Riders Of Monument Valley 48x48 SOLD! 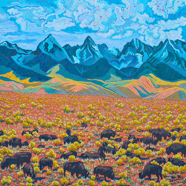 Forty Four Bison, Five 14ers 54x54 SOLD! 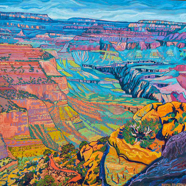 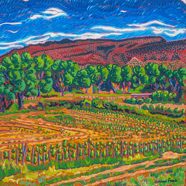 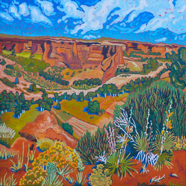 Canyon de Chelly 36x36 SOLD! 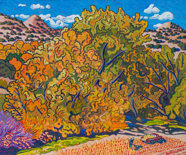 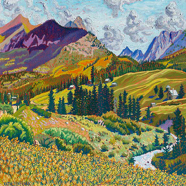 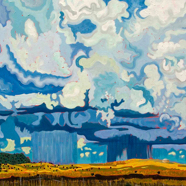 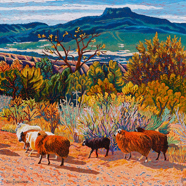 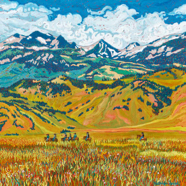 Pasture And Pederal 30x40 SOLD!